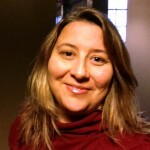 Crystal Rutland CEO & Director of User Research @empiricalux Crystal Rutland is a thought leader and user research expert with over 15 years experience helping companies translate user needs into innovative products. She is co-founder of Empirical, a premiere boutique user experience design firm, where she and her team are advancing methodologies to gain deep insights into the experiences users desire. She pulls from multiple disciplines, including business strategy, systems analysis, design thinking and the social sciences to help companies map the future.